This past week we added an "Activity" tab to Creator's Rooms on the Flipnote Hatena website. The "Activity" tab displays new Flipnotes and posts from Hatena Haiku. You can easily follow the activity of friends, and let fans know about your recent activity. For more information, check out your Creator's Room on the Flipnote Hatena website. ★ Bones come to life in this amazing story by Najat.T.S (id:gold69) from the Americas region. The best of the last week's topic: "Bones"
There were over 630 Flipnotes posted about last week's topic, and here are some of our favorites from around the world. ★ The Peachy Twins get into some trouble in this animation by TAK (id:TAKtheAWESOME). ★ Check out this story about a woman in a room full of bones by doodler=!! (id:naruandpokefan). ★ A dog finds an unusual bone in this Flipnote by シルバキリン (id:SilverKirin). ★ Something funny happens when a dog buries a bone in this animation by Jouigi (id:Jouigi). ★ Find out what is under your skin in this animation by NARWHAL5 (id:narwhal5). ★ Where did the giant bone come from in this funny animation by josecandel (id:goomer)? ★ A dog gets frustrated searching for a bone in this Flipnote by Iciywi (id:ICreateItYouWatchIt). ★ This is a colorful and stylish skeleton animation by Ewilan (id:Pencora). ★ A dog fetches something unusual in this silly story by DSITEROL (id:Classic-Angels). ★ THe bones are not what they seem to be in this animation by ×TâsFïìàä× (id:toffee11). ★ A small dog makes a big discovery in this Flipnote by Diamond (id:Sapphire1357). ★ Check out this musical bone animation by Foo☆ (id:RAKUGAKINGU-suzu). ★ Milk helps to make bones strong in this Flipnote by Pure (id:Pure-qwertyuiop). This week we would like you to create Flipnotes that are about anything that has wheels. Animate things such as cars, trucks, roller skates, chairs with wheels, shopping carts, baby strollers, or toy cars. See where your creativity takes you! Please submit your weekly topic Flipnotes by 9:00 PM on April 18, 2013 (Thursday) US Pacific Time, and we will present some of our favorites on April 19, 2013 (Friday). 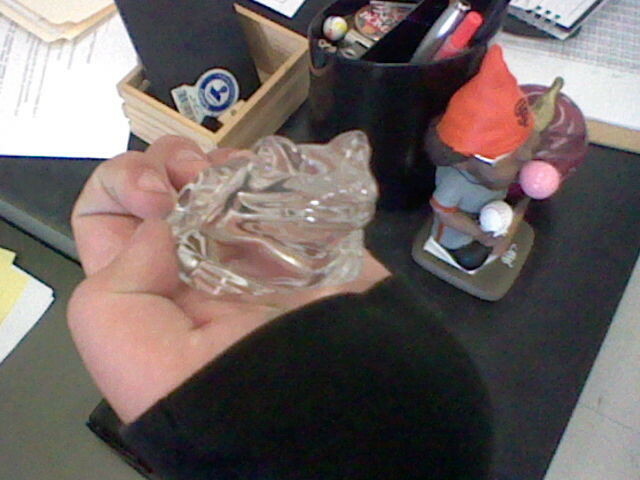 ★ Squishward posted this photo of a cool crystal frog. 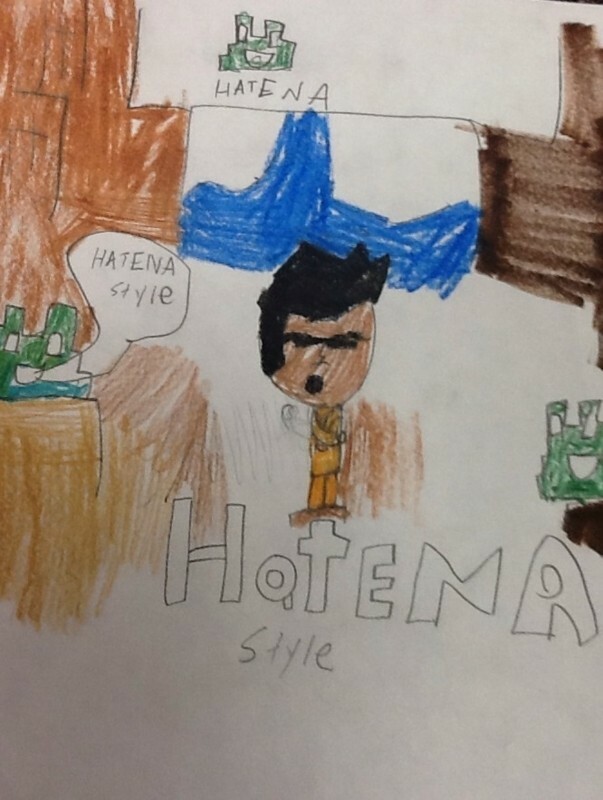 ★ Check out Aaron and his funky "Hatena Style" in this drawing by Dadslayer.